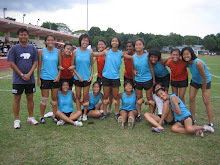 1)Please be inform that there will be training tmw at 1230pm Farrer Park. Please bring along sufficient water for training. 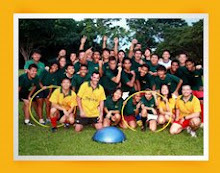 2)Game with LFS (French School) is confirm on 1st Mar. Kick off time at 5pm. Players (Under 14s) are to be at French School by 420pm. Please bring along your own water bottles or cooler. It will be a 7-A-Side game. After training, would like to invite all to go NTU to watch the inter-hall game. As our friends from Hall 11 will be playing at 3pm and 530pm. Let's go down and support our friends. Hope everyone had a good Chinese New Year. Training will resume this weekend. However there may be some changes in the timing. I will post it up by tmw morning. New Skins Clima Tech Dual - all weather use. COMPRESSION FIT - Helps Recovery. Keeps you dry and at PEAK performance longer. Super Light weight Micro Fibre. Minimises muscle vibration, helping to reduce lactic acid build up. Players that are keen please let me know during training and advise on the size. We have it adult and youth(11-14 years) sizes. We also have it in Short sleeves and both short and long tights. There will be NO TRAINING this Sat 13th Feb 2010. Training will resume again the following week 20th Feb 2010. Please be inform that we will be having training as usual tomorrow. Boys please bring along water and your mouthguard for training. 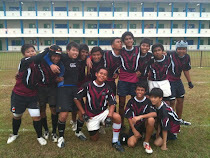 To all boys that will be going to KL, consent form will be issue out tomorrow at training. So please be present so that the forms could be handled out to you. Training will be for our upcoming tournament in KL. Under 14s and Seniors are to attend training. Under 12-13s, we too have an upcoming tournament in Mar. See you all on Sat for training. Applause to our under 14s player taking on NTU. Even though NTU are older and stronger, the younger boys show great passion for the game.